Interpreting an overnight or 24h-EEG is a time-consuming effort, taking up approximately 1-2h of the neurologist’s time per patient. This can be a significant barrier to its use in clinical practice. 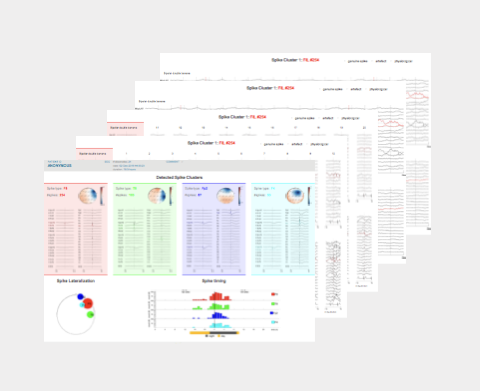 Epilog Diagnostic solves this problem by offering automated analysis of overnight EEG, providing the results in a concise report that contains all relevant information. This report is delivered within 24 hours after a simple data upload of the EEG. This reduces the time spent on EEG interpretation and frees up more time to see and treat patients. 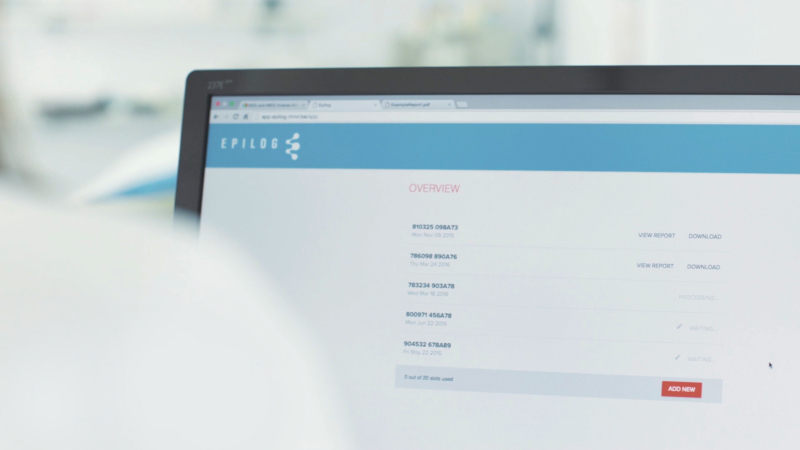 The Epilog web-based service platform is designed to allow easy upload of your EEG data and accepts virtually all EEG file formats. Epilog Diagnostic uses accurate and clinically validated techniques for spike detection (Persyst P13) and clustering. The results of the analysis are provided in a report that contains all relevant information, enabling time-efficient interpretation. Epilog Diagnostic comes in packages of slots you can use to process your patient data. When ordering a package, Epilog adds new slots to your account. The prices vary depending on the number of slots you order. Please check our pricing to get to know more or contact us for a tailor made contract. Click below to find the Epilog Diagnostic quick-guide, instructions for use, EEG data formats and requirements and report interpretation guidelines. The complete Epilog Diagnostic processing pipeline was validated on typical clinical overnight EEG recordings (27-32 electrodes). In the 43 patients the sensitivity to diagnose epilepsy was 83%, while the specificity was 94%. The positive predictive value was 83% and negative predictive value 94%, which corresponds to a diagnostic odds ratio of 72. The interpretation of the report took the expert electrophysiologist approximately 5 min per report.